Finally, after almost a year, there is a long-awaited giveaway. This time you can compete for an eye-liner, mono eyeshadows and a lipstick, colored in deep red - eternal classic. 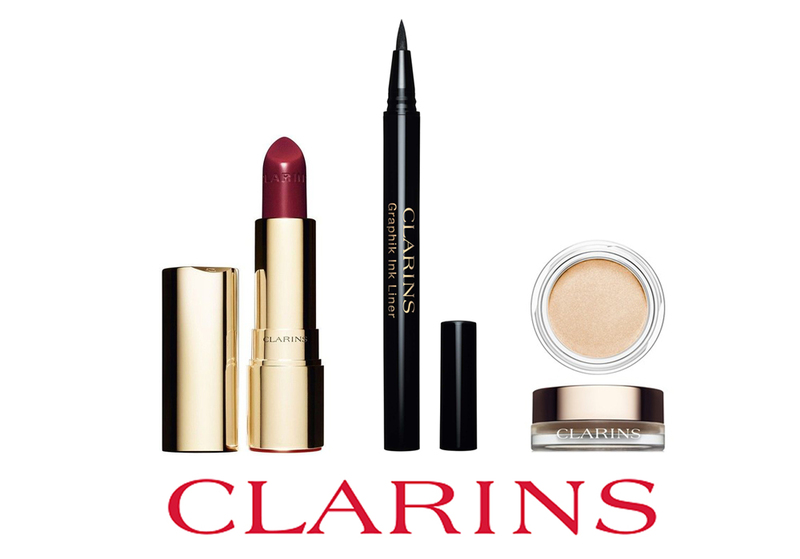 Everything from the luxurious brand Clarins. Huray. The rules are simple - just follow this blog publicly through GFC and leave your email. Please fill out the Rafflecopter form. Konečne po roku je tu dlho očakávaná giveaway. Tentoraz sa bude súťažiť o linku na oči, mono očné tiene a rúž v odtieni deep red – večná klasika. Všetko od luxusnej značky Clarins. Hurá. Pravidlá sú jednoduché – stačí sledovať verejne tento blog cez GFC a zanechať na seba email. Vyplňte prosím formulár Rafflecopter. I have participated in your giveaway and i like eye-liner(Clarins).Thank you for this giveaway. Love the giveaway. Thank you! !